Fawn: welcome to the world youngster! 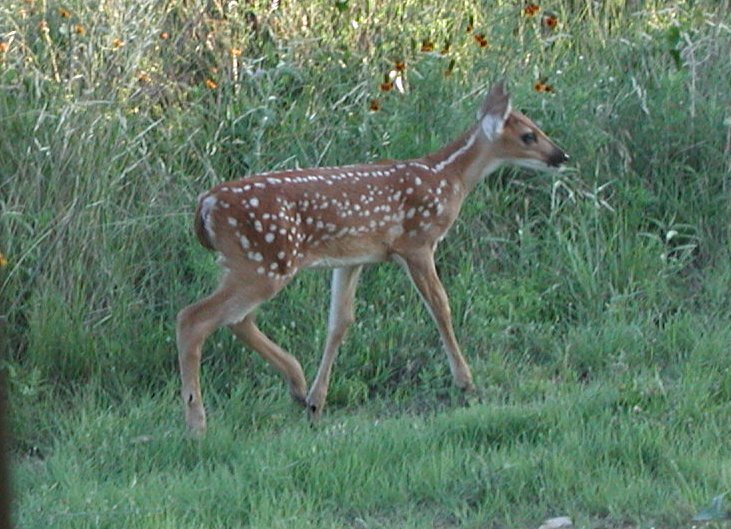 A well known resident of the hill country, this fawn’s coloration serves as camouflage to protect if from potential predators. It’s mother was nearby keeping a watchful eye while this youngster frolicked in the spring grasses and Texas wildflowers. Deer are foragers and browsers. They rely on young trees and shrubs, forbs and other high-nutrient plants. They rarely eat plain old ordinary lawn grass. A forb is pretty much any broad-leafed herb or plant that is not a grass, including plants such as clover, milkweed, wildflowers, verbena, roses, wild onions, and even yucca blossoms. 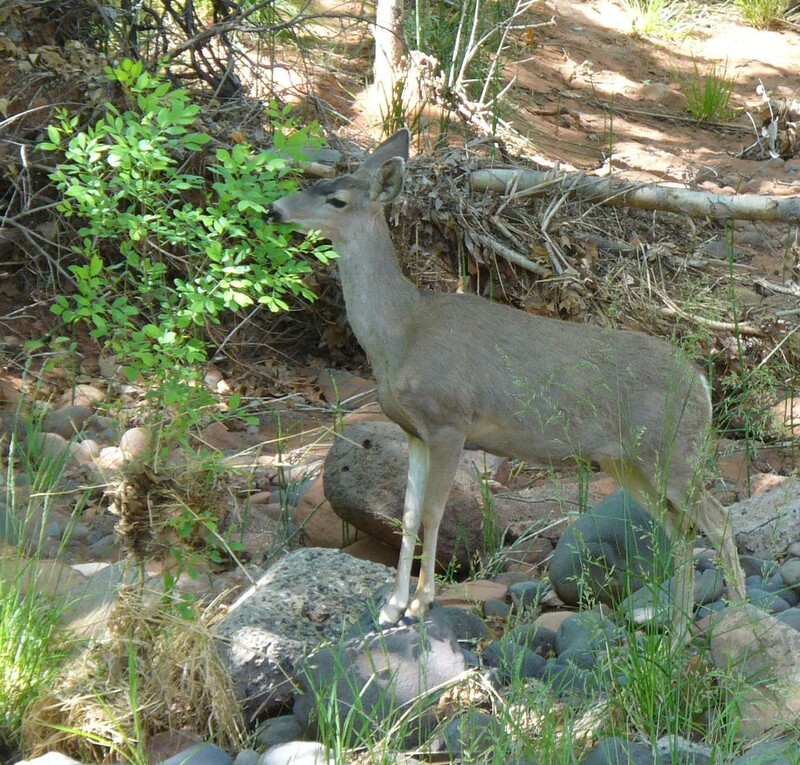 Deer also love vegetables, apples, acorns and love to nibble on tender, new leaves on trees such as our Texas live oaks. Did you know that a deer’s stomach has four sections, just like other ruminants such as cows? They rechew their food (called cud , the scientific name fermented ingesta or bolus). They rely on specialized bacteria, fungi, yeast and protozoa to break down the plant material so their body can better absorb the nutrients. Humans also have specialized bacteria in their stomachs that help with food digestion but we only have one section in our stomachs. Did you know that you can use the word ruminate to apply to a person who is “rechewing” a thought or idea, to think about it more carefully, before making a decision or taking an action? Fortunately, folks don’t use bacteria or fungi when they do this!